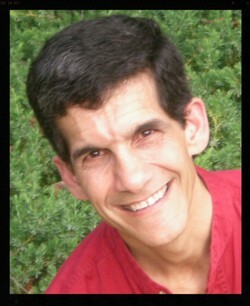 Barry Stewart Mann is a professional Storyteller, Educator, Actor and Writer based in Atlanta. He has been delighting audiences and inspiring students for nearly three decades, and brings a vibrant honesty and caring playfulness to his performances, workshops, and scripts. A graduate of Harvard University with an M.F.A. in Theatre from the University of San Diego, Barry has performed on dozens of stages across the country; told tales to thousands in festivals, libraries, schools, camps, and beyond; created scripts for myriad classroom, workshop and professional performances; and led classes, workshops and residencies with groups of all ages and backgrounds, from elementary to graduate students, from storytelling conferences to the state penitentiary, from nursery schools to nursing homes, and everywhere in between. If you are interested, here is a video from a school assembly program about European Explorers coming to North America, and the Native Americans Barry and his partner McKenzie Wren met.